The Egyptian museum in Cairo celebrates 114th anniversary of its opening for the first time in 1902 on 15th of November. 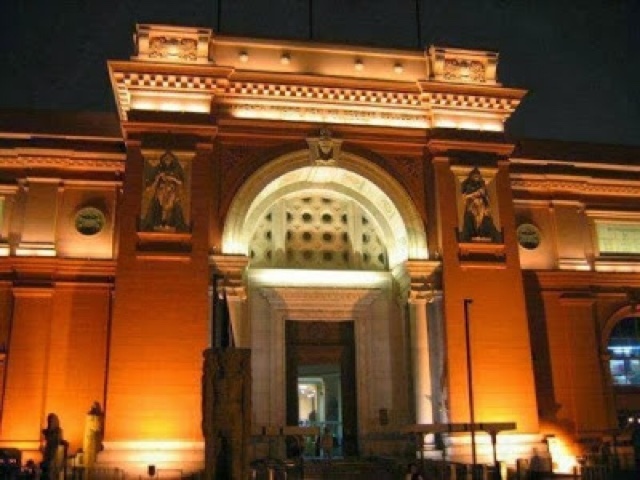 Dr. Khalid El-Anany, minister of antiquities, is expected to announce on this occasion the opening of the Egyptian museum in Cairo for visitors twice a week in the evenings every Sunday and Thursday. The bold move was decided on a few months ago and developed from an idea into a reality after spending 2 million Egyptian pounds on the new lighting system indoors and outdoors which was funded by the ministry of tourism and executed by the projects department in the ministry of antiquities directed by Eng. Waad Abo El-Ela. Also on the same evening, Dr. Khalid El-Anany will cut the ribbon for an exhibition of the finds of the late Egyptian archaeologists Dr. Selim Hassan. The exhibition features 9 objects as well as photographs, plans and notes documented his excavations. There will be also a hologram show of some of the objects discovered by him beside a virtual reality show of his excavations in Unas pyramid in Sakkara. Luxor Times will be there and will try to broadcast live stream of the event "if Internet signal permitted" Stay tuned! We pray the African origins shall not be hidden nor slighted.